Reiki is a safe, natural method for self-improvement and spiritual healing that everyone can incorporate into their life. It can lead you towards a deeper, more meaningful existence. As an energy force, it’s not simply a tool for healing but can also be used as a catalyst for change. How Did Reiki Gets Its Name? It can also be used alongside conventional treatments and therapies without there being any adverse effects. 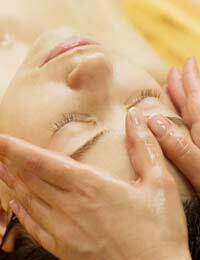 What Happens During A Reiki healing session? During a Reiki healing session, a Reiki teacher or practitioner will ask you to lie down or be in a seated position – whichever you find more comfortable. The Reiki practitioner will then transmit the energy through the laying on of hands which will usually begin at the recipient’s head and will gradually work down the body ending with the feet. The effects are felt differently by different people. Some people experience a deep sense of relaxation, similar to that felt in meditation; others will feel a tingling effect. The Reiki practitioner’s hands may feel extremely cold or hot depending on what feels right or the recipient. Reiki works on the principle that all of the body and its organs have their own energy field which is forever changing. The conditions of disease are rooted within this energy field and if the energy force is low or blocked, we’re more likely to become ill. Reiki aims to unblock or free this ‘life force’ so that we’re able to feel healthy on a physical, emotional and spiritual level. In a similar way to meditation, it can help us to re-address imbalances caused by things like worry, fear, doubt, anger, anxiety and many other negative emotions. Reiki training and Reiki classes are held all over the country and you can use the internet to find out the nearest classes to where you live. You can opt to attend Reiki classes for your own personal use and there are advanced Reiki training courses if you’re looking to progress even further into becoming a Reiki teacher or practitioner. Further courses include things like aura cleansing and using moving meditation in order to manifest goals. Although Reiki doesn’t work for everyone, many people have reported miraculous results as a consequence of Reiki. It may also be useful to know that although Reiki evolved out of a Buddhist tradition, it’s not in any way linked to any religious affiliation.